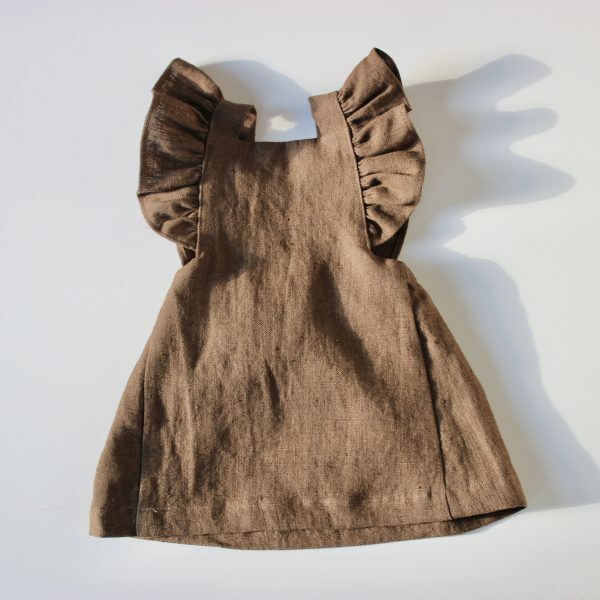 Our beautiful frilled girl’s linen dress is the all year round necessity for any girl’s wardrobe. Made with 100% linen here in England. Each dress comes with an adjustable button fastening which means it will last from Autumn with chunky tights and knitwear right through to Summer, worn on it’s own. It’s machine washable and it’s also becoming a favourite with flower girls and bridesmaids across the globe. But isn’t everyday a day for a little luxury!